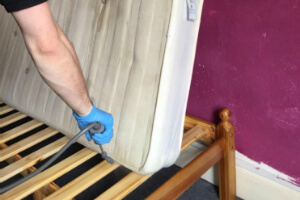 Brent NW Residential & Commercial Pest Control | Quality Property Care Ltd.
You won't have to tolerate bed bugs or dust mites, give Quality Property Care Ltd. a call by dialing 020 3746 4287 and let our professional pest control technicians handle the rest. We are available also on evenings and weekends. Our pest control technicians can deal with bed bug treatment, cockroach control, ant control, dust mite control, flea control, woodworm treatment, wasp control, bee control, spider control, silverfish control, fly control, moth control and carpet beetles control. We can also take care of with rodents like rats, squirrels and mice. Apart from those we can also remove and prevent bird and pigeon infestations, remove bird's nests. Together with that we can also perform complete house and office fumigations. We find it that it’s first better to try a non-lethal approach. Before we begin with baits and traps, we first inspect the premise. Mice are small and leave tiny oily trails that help them traverse your home, sort of like a mice-highway. With the help of these trails we find their nest and place baits and traps. If the infestation is too large, we will use lethal traps and poisons. Cleaning around the poisons is not recommended as it might disturb the pile. After a period of several days you can contact us so we can come and check to see the results. Carcasses are removed from the premise, the poisons have a 3 month protective guarantee. You can easily resolve any kind of nasty infestation, and make sure it doesn’t reappear by booking the professional pest control services of Quality Property Care Ltd. right away. Whether the invasion of dust mites or rats has recently started, or you have pest problems for months, we will get you an optimal pest management. Depending on the type of pest, different methods will be used. Pesticides and insecticides are predetermined in advance. There's no need move the furniture or to provide the pest specialists with anything for the job. We come with a van with everything necessary. It is best for you to remain outside of your home or office during the procedure. It is secured and safe, pet-friendly and child-safe, but the experts will need more space to deal with the task. Note that both the pest technicians and pest control service are entirely insured. We cover any type of damages and omissions. Being in the industry for years, Quality Property Care Ltd. is now a popular and well-known pest control company. We can deliver you professional residential and commercial pest control service on a budget. The treatment is customised to minimise the harmful impact in your environment. It removes the last signs of pests in your domestic or commercial space. The pest control price list is fixed, not hourly based and depends on the size of your property, as well as the level of infestation. 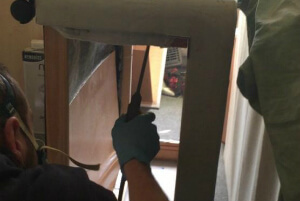 Encountering pest problems and in need of professional assistance? A professional pest removal service is there for you by Quality Property Care Ltd.. Call 020 3746 4287 and get the finest pest control technicians in Greater London area. We work efficiently and safely, to guarantee the security of your business and family. Call us at any time for a free consultation, and for just a bit more get a 3 month protection.